Everyone’s blogging these days, aren’t they? 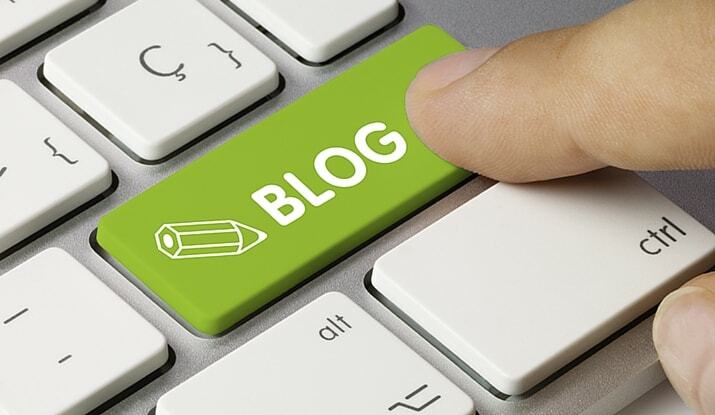 From businesses to individuals, blogs are pretty hard to miss in this Internet era. Another thing to take note of is how most publications are also adopting to blog-style writing. When was the last time you head a Huffington Post article that actually sounded like high-brow news? Instead, blog formatting and the conversational tone is taking over. Let’s see how it is when you’re starting a blog. After all, you’re reading a blog post right now, aren’t you? There are a truthfully a lot of perks to starting a blog, especially if you’re someone who’s an entrepreneur or into business. Content marketing is steadily becoming the most important form of content marketing there is, and that’s important for lead generation and business visibility. The content you put out says a lot about you, and it also easily showcases you to the world. Blog posts lead to more site hits. More site hits lead to more chances for conversion. Get the gist? The problem is that not everyone is a born writer. You can hire content farms to pump out blogs for you, but even then it’s still important that businesspeople understand how to craft a convincing and valuable blog post. You don’t have to be Stephen King or Maya Angelou, but basic writing and blogging concepts shouldn’t be foreign to entrepreneurs at any age. If you want to delve into the world of blogging when starting a blog, whether for business or pleasure, consider these five steps before you dive right in. Every piece of content you write should have a purpose behind it. Are you informing an audience? Are you advertising a certain service? Why are you writing this piece that you’re writing? Real blog writing involves value. While you’re looking to boost views and leads with your blog content, this shouldn’t be the only reason you have in mind. Blogs should answer some question – whether it’s one that begs for information or the answer to what happens next. Blogs are all about online conversations, and good conversations are one that offer their readers something to think about. Keep this in mind when you write and always think about keeping your content valuable. Blogging isn’t something that you do on a whim when you’re speaking about business or making a career out of it. If you want to occasionally post pictures and random life stories on Tumblr, feel free – but business and career blogging is much more sophisticated. Blog success comes with consistency. This means posting content regularly, and there will be more about that later. In general, don’t think that only one or two blog posts a month will work and lead to great success. Blogging is all about posting content often, so don’t slack off. Readers look at a headline and make snap decisions about whether or not the content within will be valuable – and this is all based on about 10 words. Your headline will immediately tell an audience member whether or not you’re worth it. Think about a movie poster – you can tell a lot about the content and quality of a movie based on what you see visually. A darker poster means a darker movie, etc. This kind of associated decision making also counts for headlines, so you have to make them count. A good headline both gets to the point and draws readers in with a promise of valuable information. Back to content posting frequency. You already know you need to have a blog content arsenal up your sleeve, but how often do you need to actually post said content? Depending on how much you want to share with the world, one to three blogs a week is a good number. If you really want to go all out, daily blogging content isn’t bad either. The point is to keep things running like clockwork. If your readers expect content on Thursday, you better post that content on Thursday. This helps build a loyal following. If your favorite TV show suddenly didn’t air at the date and time you expected, wouldn’t you be confused? The same rule applies here. WordPress offers a content scheduler, so try and utilize tools like that as much as possible. Last, but not least, writing is a passionate art form, even if it’s concerning crafting content for a business blog. The more serious effort you put into your writing, the more fruitful your rewards will be for two reasons. One, your content quality will improve, leading more people to take your blog seriously. Two, you’ll feel good about the hard work and effort you put into your writing, as well as watching it all pay off. You don’t have to be a Grade A writer to have success with a business blog, but you should put your heart and soul into it. When you start to feel like your blogging efforts are a chore, just sit back and think about why you started blogging in the first place. How can you regain this spark? What will make your passion become rekindled again?